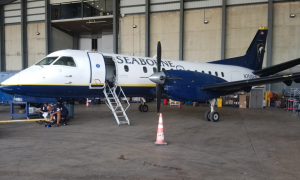 Seaborne Airlines has announced it is restarting normal operations to the Island of Dominica effective Wednesday, September 23(rd), 2015. 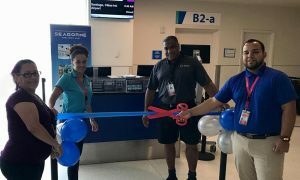 This will include resumption of the American Airlines code-shared connecting service from San Juan’s Luis Munoz Marin International Airport to Douglas Charles International Airport in Dominica, on a daily basis, as well as interline connecting service to JetBlue, Delta and United Airlines, also through San Juan. In the wake of Tropical Storm Erika, all passenger flights to Dominica were cancelled due to weather-related damage at Douglas Charles International Airport. Seaborne operated 92 relief flights from August 23 to September 22, 2015 into and out of the region, to include 76 flights into and out of Guadeloupe (PTP) and 18 non-passenger flights into and out of Dominica’s Canefield Airport (DCF) and Douglas Charles International Airport (DOM) in conjunction with Ross University.